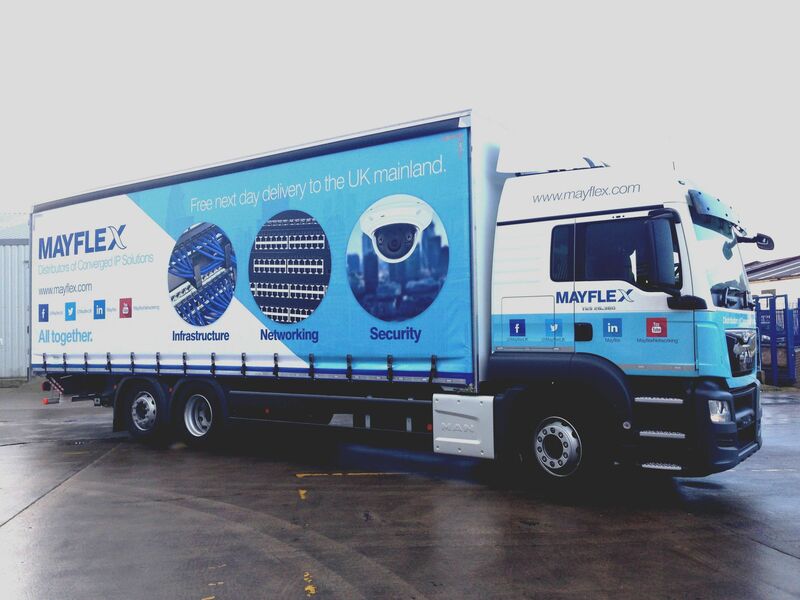 January 2017, Mayflex the distributor of Converged IP Solutions has worked with its distribution partner FullForce to customise two of their vehicles with Mayflex and Excel messaging and branding. The vehicles include a 26 tonne curtain sider and a 40 foot curtain sided trailer. The vehicles will primarily be used up and down the uk major motorways and will contain goods requiring palletised delivery. FullForce is a Midlands based distribution and logistics company, delivering to local, national and worldwide destinations. Mayflex has successfully worked with FullForce, continually improving delivery rates for over five years.